Our Tiger Sharks program is a learn to "skate and play" hockey for beginners. The program is open to boys and girls between 4-9 years of age. Our Tiger Shark program is FREE to all, but all players need to be current members of USA Hockey. Please join or renew your membership at USAHockey.com before you register for the SYHA Tiger Sharks. Full hockey equipment is required and NOT included with your Tiger Sharks registration. If you do need hockey equipment please check out the NY Rangers Rookie Series that will be joining the Tiger Sharks program this fall. Both programs will run together on the same ice and same times. It does not matter what program you have registered for as all players will receive all the same instruction and lessons. This year we will be offering three sessions of Learn to Play throughout the season and your child has the opportunity to participate in each one. 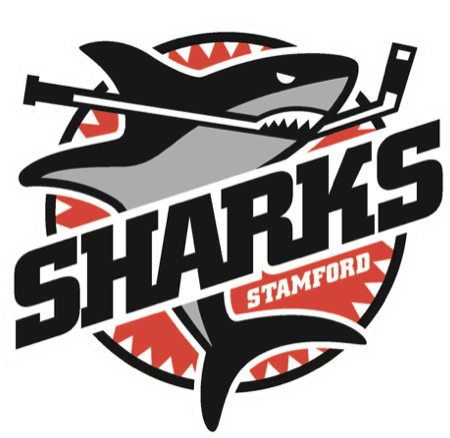 Please make sure you select Stamford Youth Hockey at Terry Conners when registering. USA Hockey membership and number. Free full set of equipment, including skates, for first time "Learn to Play" participants. Professional instruction alongside NYR and SYHA staff. Note: If your player has previously had a USA Hockey nunmber you will be ineligable for the NYR "Learn to Play" and the free set of equipment.